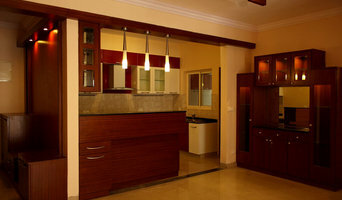 I am an interior designer based out of Whitefield, Bangalore. I specialize in functional, elegant and luxurious residential designs: entertainment units, cabinets, bar counters, partitions, pooja rooms, wardrobes, false ceilings, kitchens, furniture, wall cladding, texture painting, custom-designed wall art, murals etc., just to name a few. Turnkey Interior design firm based in Bangalore. We specialize in end-to-end design, execution & management of interiors specially focused on residences. We are a small but energetic team that focuses on making your house unique, classy and done to your taste & budget! HYPHEN DESIGNS is an interior design firm with expertise in RESIDENTIAL, COMMERCIAL, RETAIL AND HOSPITALITY projects. Based in Bengaluru, India. In the exciting world of interior design, one’s exposure to global designs and with trends that seem instantaneous, defining your own unique style. HYPHEN DESIGNS’ singular objective is to create a space as unique as each individual and family with whom we work. While learning about our Client’s lifestyle and aesthetic desires, our design group helps Client discover their own design individuality, and ensuring the end result will be a manifestation of the collaboration in creating a reverie. Our design group utilizes years of experience to guide you through the adventure of each design phase, from the conceptual plans to unique selections of finishes and furnishings and offer recommendations that support informed purchasing decisions. We pride ourselves on customer service, which commences at the project concepts and continues even after the final punch list is completed. In a Client’s busy life, it is important to feel protected, which we do by participating in all levels of project supervision and coordination to ensure the ultimate design quality is fulfilled. Whether it’s new construction or a complete remodel, a design that can be traditional, transitional, contemporary or modern, HYPHEN DESIGNS directs every detail of the design, selections, all execution related drawings. The goal is a pleasant experience of you watching your dream come to fruition and living in a space that is as exceptional as you are. Our mission is simple: Develop interior design experiences that are distinctive, compelling and of superb quality HOW WE WORK? Aesthetic review to understand the Client’s likes and desires, Establish the lifestyle or professional necessities of the space, Space and volumetric planning, Material, finish and furniture selections, 3-Dimensional renderings by hand or computer-generated, Cost analysis of proposed design , Project coordination & Execution with in time line. Priyadarshini is a qualified Architect whose passion for design has led her to start PD DESIGNS, a Design Studio in Bangalore. Her work experience of 2 decades is accumulated from working on Interior Design, Architecture and Landscape Projects in various offices in India, USA and UK. PD Designs has been providing clients with sophisticated design solutions to suit their requirements. Priyadarshini and her designers work closely with Clients to create unique personal interiors which are comfortable and sensitive to their lives. They place absolute importance on providing a truly bespoke service that is delivered to uncompromisingly high standards. You, your family and your new home is an exciting story we’d like to hear about. We simply get to know you first; and we help you in whichever way in order to ease you into this journey. Take a look at some of the interior concepts done in Bangalore city and you would know. Both Bangalore interior professionals are closely related and often mistaken for the same thing, however, there are some significant differences you should be aware of before hiring. An interior designer, also known as an interiors architect, will not only hone your style down to its very essence but will be able to choose a functional layout. 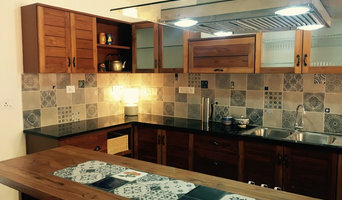 All Bangalore interiors designers require specific schooling and formal training. They use their specialised knowledge of interior architecture, building regulations, materials, and furnishings to help you arrive at your dream home design. Interior design companies can come on board during the early stages of construction to plan spaces and room functions down to the last detail, and can help design and renovate interiors and decorate. On the other hand, an interior decorator will typically be involved with the “look and feel” of a space, and won’t be able to assist in renovations that require structural work. Interior decorators in Bangalore normally come on board after all structural work is complete. Why should I hire an interior designer or decorator in Bangalore? Everybody wants to a home that reflects their personality, though some of us are just too preoccupied with a career and/or family to think about colour schemes, wallpaper, flooring, and lighting. A Bangalore professional interior designer can save you bags of time, stress and months. Residential interior designers and decorators in Bangalore understand the latest trends, have a good sense of layout and functionality. They can also save you money by sourcing products via trade contacts or offer affordable alternatives to blowout iconic designs. 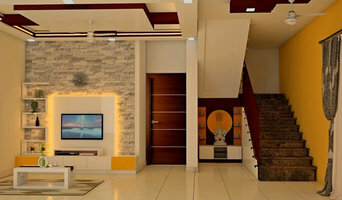 How do I choose the right interior designer in Bangalore for my home? Every Indian home is unique in its style and can be an inspiration to define your own style. 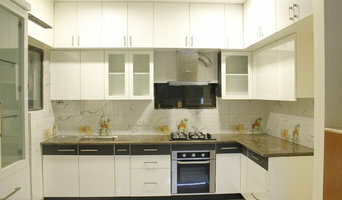 You start by looking at images and work of different interior designers and decorators in Bangalore. Save the pictures and details of the professionals who match your taste.There are plenty of interior design companies and interior designers who can help you turn your living room into mix-and-match lounge oozing an eclectic style, or turn a pale and interesting minimalist bedroom with shots of colour, or a beautiful space inspired by Scandinavian design. Pick an interior designer in Bangalore who has completed work similar to the look and feel that you desire. Be sure to discuss your needs, ideas, constraints, and budget early on. Some interior companies are design only, while others can oversee the whole project. If it is the latter that you seek, make sure all subcontractors used are well experienced and accredited. What are some of the important questions to ask Bangalore interior designers or interior decorators? Find an interior designer or home decorator on Houzz. Narrow your search in the Find Pros section to find Bangalore interior designers & decorators. You can also look through photos to find a room you like, then contact the interior design firm who designed it.